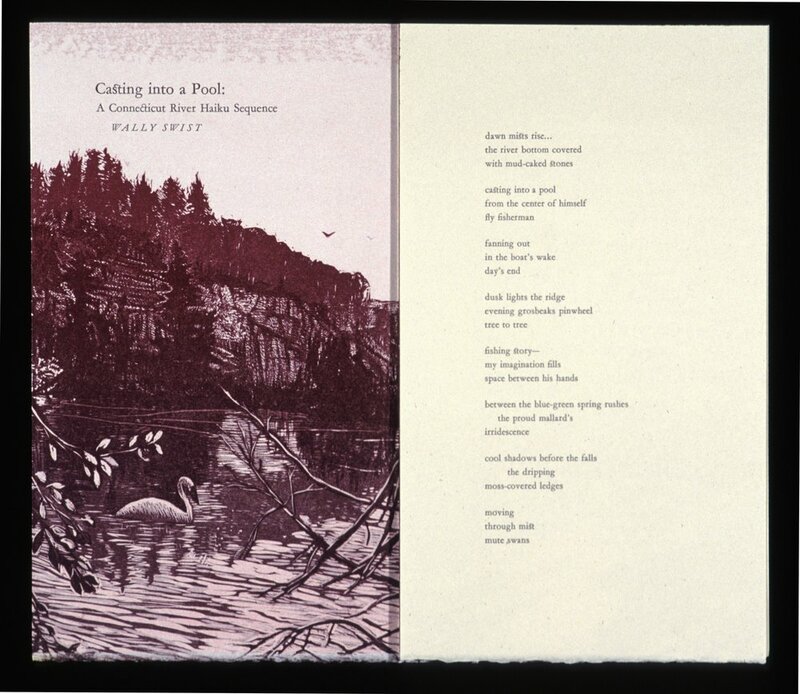 Place of the Long River/A Connecticut River Anthology began as a personal exploration of a great river and its history. 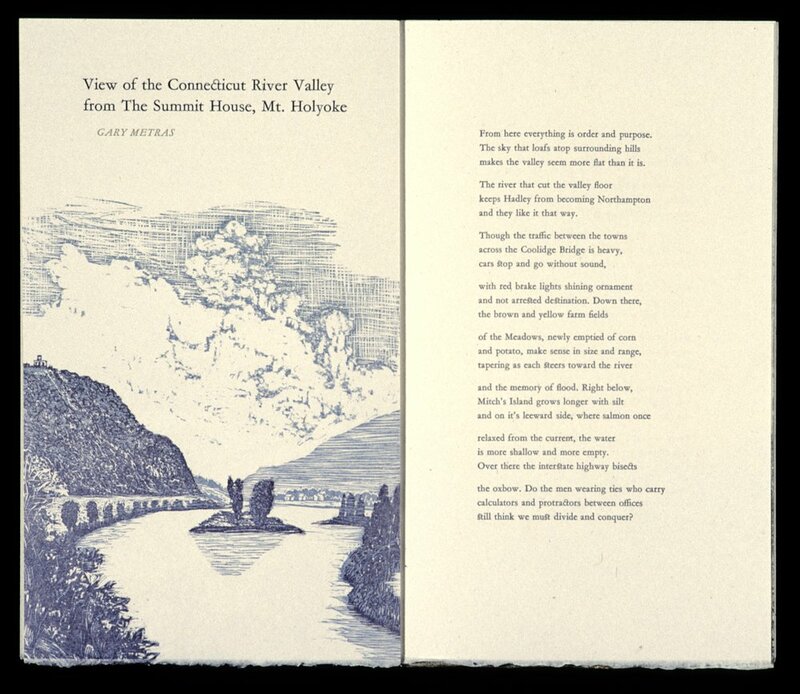 The project grew to combine the words of eight writers living in the Connecticut River valley, two from each state it graces. About half of the poetry is previously unpublished. Some pieces are as intimate as a quiet cove and others are as expansive as a view of the River from the mountaintop. I wrote an introduction as well. 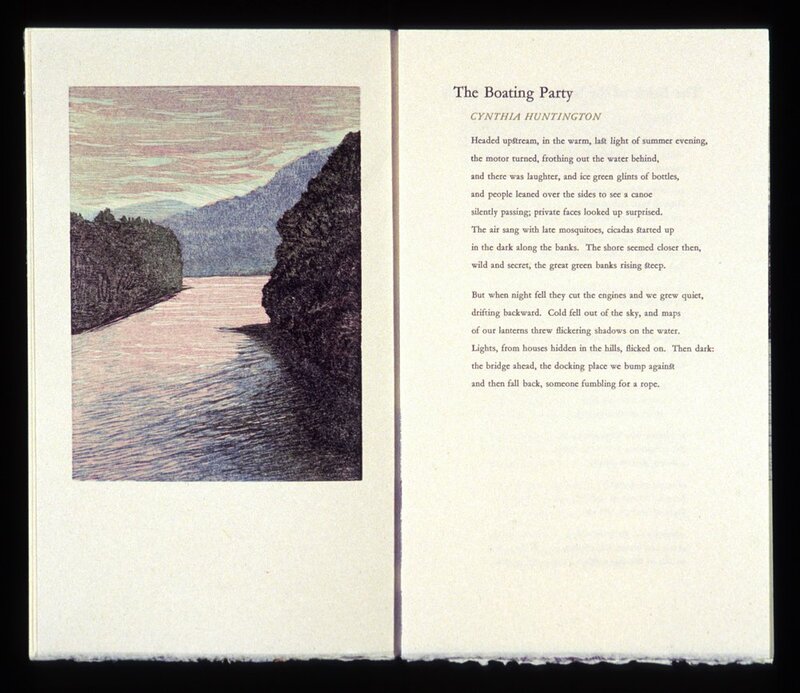 There are 21 woodcut images, 15 are printed in the reduction technique. A woodcut map is printed on the end-sheets, with the sites of the images on one and the locations of the writers’ homes on the other. The hand-set letterpress type is Garamond 156 and is printed onto the 46 pages of Rives Heavyweight. 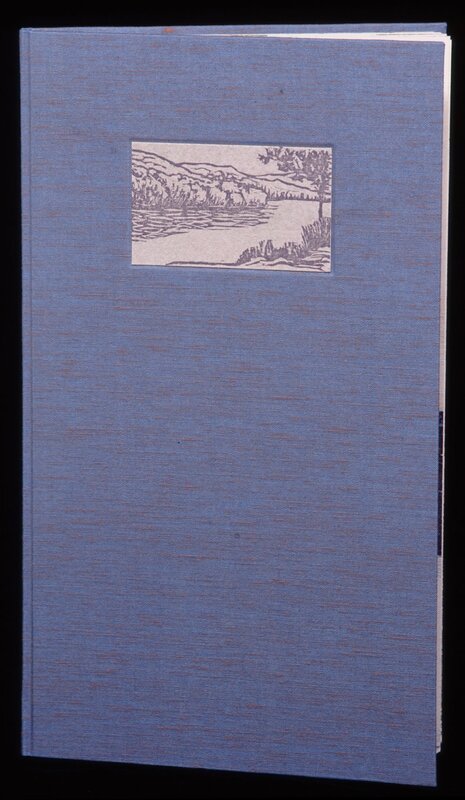 Barbara Blumenthal has bound the book in boards covered with a Japanese cloth. 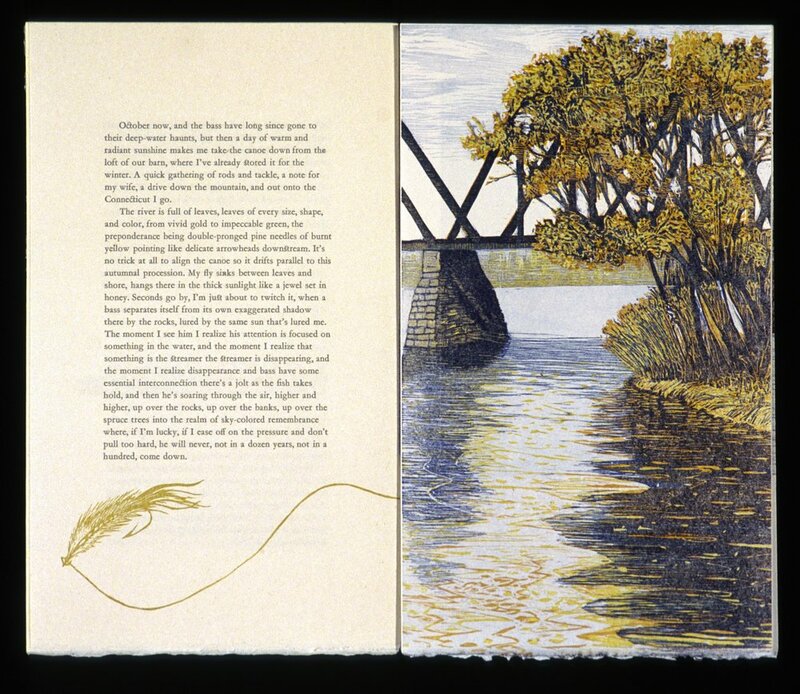 The book measures 13x17 ¾ inches open. It was issued in an edition of 100 copies. 1995.